Quora, for those of you who don't know, is best defined as a question-and-answer website where questions are created, answered, edited and organized by its community of users. Essentially, it's a Wikipedia on steroids. And while user statistics aren't regularly handed out for public consumption, one spokeswoman, as quoted by the Wall street journal, said the site currently has about "500,000 topics, millions of Q&As and hundreds of millions of views per month." That's right, "hundred's of millions of views per month!" No wonder my old boss wanted me on the site. Look at all the potential! 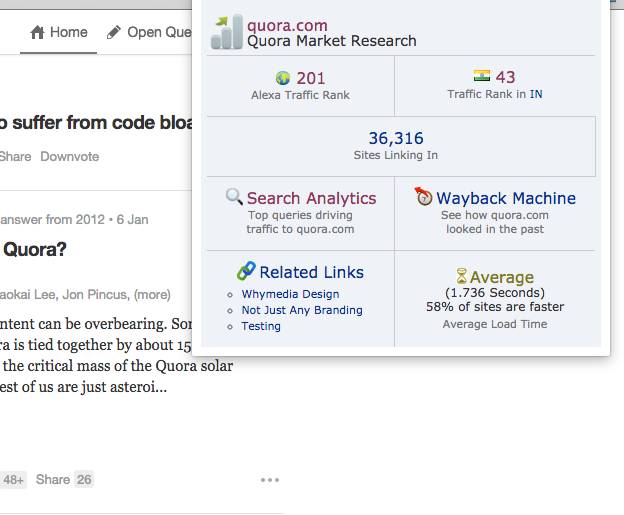 Cool, so we established that Quora has great potential. But now for the real question: how do I actually use Quora to find sales leads? First and foremost, you need a profile. Make your self look credible from a busines stand point and be sure to include links to all your formal social media profiles. The next step is following topics that are relevant to your business. To find a topic, simply type in the name of the industry or subject matter you're in, and in the search results dropdown you should see the word "topic" next to your query (be sure to select the "follow" button!). What I recommend though, for all you short-cutters, is that you check out the list I've compiled of all the top-50 followed topics spanning from 2012-2014. This lists all the top topics by follower count, and is a good starting vehicle for my next step, contributing to Quora questions. It's easy to start thinking that since you have access to the top-50 list for the most popular topics in Quora that you should immediately start linking back to your product page. DON'T! Yes, it's easy to think that this opportunity gives you the greatest access to the most eyeballs on the platform, but your prospects aren't dumb. Slowly start building your reputation as a credible source before going for the ask. Quora users, as you'll find out, are a tight knit bunch, and the site has a very good monitoring system in place. So how, as a salesman with very little time, do I contribute rich, relevant content to the user boards? Simple, syndicate snippets from your company blog. The greatest asset any salesman has in these days of social media are content, and what better content pertaining to your product than your company's blog. So paraphrase, quote, copy and paste the whole thing! The worst thing you could possibly do is not add content to Quora topics and potentially miss out several sales opportunities. The next step, once you've answered a bunch of the most popular questions in the most followed topics, is to start hunting for leads. 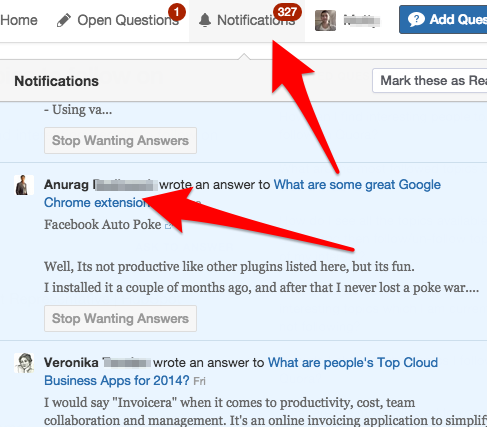 While I won't give away all my tricks on best Quora sales tactics (for those top practices, please check out my ebook: the Quora Sales Playbook), my one best piece of advice is that content that you syndicate will always appear in users Notifications inbox. So when you say to yourself "hey, this question was only relevant back in 2012, I shouldn't syndicate my content there," don't forget that everyone who followed that question will still get an alert in their notifications showing them that YOU , with your profile pic and job description, posted another answer to that question. In essence, do not overlook the power of the post!